The purpose of this project is to establish, by 2014, a system capable of eliminating onchocerciasis (river blindness) as a public health problem in all African countries. It aims to create a system which could be used as a basis for introducing other health interventions. For centuries, river blindness (onchocerciasis) plagued remote communities in Africa. The Programme was set up in 1995 to expand and build on the successes of the Onchocerciasis Control Programme in West Africa (OCP). The goal of the African Programme for Onchocerciasis Control (APOC) is to eliminate onchocerciasis as a disease of public health importance in Africa. At the heart of APOC’s strategy to eliminate onchocerciasis is community-directed treatment with ivermectin (CDTI). This approach relies on active community participation to distribute ivermectin treatment. Communities plan their own distribution systems and make decisions about how and when the ivermectin is distributed. They decide which members of the community will be trained to deliver the treatment, and they also monitor the CDTI process. At the end of 2012, more than 100.8 million (76.4%) people living in 24 African APOC country members received ivermectin treatment, of the 131 939 719 at-risk population to onchocerciasis in poor rural communities. 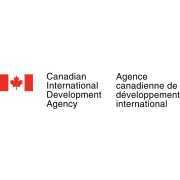 CIDA was established in 1968 to administer the bulk of Canada's official development assistance (ODA) program. The measure of its success lies in its contribution to the achievement of the Millennium Development Goals (MDGs) and Canada's broader international policy objectives. CIDA is the federal agency which manage Canada's support and resources effectively and accountably to achieve meaningful, sustainable results and engage in policy development in Canada and internationally, enabling Canada's effort to realize its development objectives. CIDA administers approximately 80 percent of Canada's aid budget to programs and projects in regions and countries around the world. CIDA works in concert with its development partners, fragile states and countries in crisis, countries of focus, and the Canadian population and institutions. engage in policy development in Canada and internationally, enabling Canada's effort to realize its development objectives. As part of its Aid Effectiveness Agenda, the Government of Canada announced in 2009 that it will be focusing 80 percent of bilateral resources in 20 countries of focus. These 20 countries were chosen based on their real needs, their capacity to benefit from aid, and their alignment with Canadian foreign policy priorities. This concentration does not include programs carried out in other developing countries by multilateral agencies such as UNICEF, the United Nations Development Programme, and La Francophonie. Neither does it include cases of crisis, conflict, and natural disaster that require fast intervention, as provided by CIDA's strong helping hand. CIDA provides funding for international development programs and projects through contributions to Canadian and international institutions of many kinds. The Agency also enters into contracts with Canadian companies for the implementation of their programs and projects. Varying funding criteria exist for each type of applicant and for each type of program or project. In 2009, Canada committed $600 million, for a total pledge of $1.18 billion over three years for sustainable agricultural development. Canada has acted quickly in response to global need and has already disbursed over $800 million of this total. Canada, through CIDA, is leading a global commitment, the Muskoka Initiative, to improve maternal, newborn and child health in developing countries and reduce the number of preventable deaths, as announced by Prime Minister Stephen Harper at the G-8 Summit in June 2010. Canada can thus focus on key development challenges, and ensure that its aid investments lead to concrete results for the world's poorest. In 2010-2011, CIDA’s aid expenditures reached $3.3 billion. Responding to the food security crisis in 2010-2011: In total, Canada spent more than CDN$719 million towards food aid and food security programs. In 2010-2011, Canadian international assistance from all channels reached more than 150 countries. Of the $3.3 billion spent in 2010-2011, the largest portion, $1.3 billion or 50% was allocated to Sub-Sahara Africa. The Ministry of Foreign Affairs promotes the interests of the Kingdom abroad. The Ministry coordinates and carries out Dutch foreign policy at its headquarters in The Hague and through its missions abroad. It is likewise the channel through which the Dutch Government communicates with foreign governments and international organisations. Within the Ministry of Foreign Affairs, the directorate for Development Cooperation strives to improve the quality and effectiveness of the Dutch contribution in support of the Millennium Development Goals. The Netherlands allocates €4 billion annually to tackle global poverty, which is 0.8% of the country’s gross national income. The Netherlands will remain a reliable partner, spending €4.34 billion on development cooperation in 2012. About 25% of Dutch ODA is implemented through NGOs, which puts the Netherlands among the leading donor countries for non-governmental delivery of development aid. The Directorate-General for European Cooperation (DGES) develops and coordinates Dutch policy on Europe and the European Union. The Directorate-General for Political Affairs (DGPZ) develops policy on peace and security matters, and advises the political leaders on foreign-policy issues. The Directorate-General for International Cooperation (DGIS) is responsible for development cooperation policy, its coordination, implementation, and funding. The Directorate-General for International Cooperation (DGIS) is responsible for development cooperation policy, its coordination, implementation, and funding. An important DGIS focus is the coherence between Dutch and EU policy on developing countries. In order to develop and carry out development policy, the Netherlands works with the governments of other countries and with international organisations such as the UN, the World Bank, and the EU. Civil society is another important source of partners, which include non-governmental organisations. DGIS themes include gender, AIDS, education, sustainable economic development, and the environment. These are all issues that the Netherlands, its business community and its knowledge institutions are good at and on which they have added value to offer. The country will spend €114 million more on these priorities in 2012 than in 2011: €181 million on water, €219 million on food security, over €385 million on security and the legal order, and €335 million on SRHR. In 2012 the government will also invest €200 million in schemes to use Dutch business and academic expertise to foster economic growth, for example by enhancing food production in developing countries. Where possible these partnerships will be converted into forms of economic diplomacy, for example in South Africa, a ‘transition country’ with which the Netherlands will eventually be ending its bilateral development relationship. Merck is an innovative, global healthcare leader that is committed to improving health and well-being around the world. At Merck, they're applying their global reach, financial strength and scientific excellence to do more of what they're passionate about: improving health and improving lives. Their product offering categories include heart and respiratory health, infectious diseases, sun care and women's health. They continue to focus their research on conditions that affect millions of people around the world - diseases like Alzheimer's, diabetes and cancer - while expanding our strengths in areas like vaccines and biologics. They also devote extensive time and energy to increasing access to medicines and vaccines through far-reaching programs that donate and deliver their products to the people who need them. At Merck, corporate responsibility is their daily commitment to tackle the world's biggest health challenges by discovering better ways to make a difference in everything they do. It is a simple promise that is embedded in their business and informs all their individual actions. To make a difference in the lives of people globally through our innovative medicines, vaccines, and animal health products. They are committed to being the premier, research-intensive biopharmaceutical company and are dedicated to providing leading innovations and solutions for today and the future. To discover, develop and provide innovative products and services that save and improve lives around the world. It is unacceptable that the vast majority of people around the world are unable to benefit from advances in medicines and healthcare. To help address this global dilemma, we are committed to discovering smart, sustainable ways to expand access to healthcare. Their new Statement of Guiding Principles, which guide their worldwide approach to access to health, outline specific c goals to assure progress across their business from R&D and the supply chain to commercialization and investment in local infrastructure. They’re making sure they respect the earth’s resources with a commitment to discover environmentally sustainable ways to meet the world’s health needs. They have defined a road map to guide their progress, from reducing their environmental footprint in the short term, to transforming their entire value chain over the longer term. They are transparent and open not just because we believe it’s right, but because it’s central to how they serve the people who depend on them. They’re committed to ethical behavior and transparent communications across their global business. And they’re working every day to earn their stakeholders’ trust by engaging audiences on all sides of the issues that matter, and by going beyond mandatory disclosure to proactively communicate key information in greater detail than ever before. The talent, diversity and integrity of Merck’s people drive their success. They’re committed to discovering new ways to help their employees and their business thrive. This means supporting employees not just as workers, but as people — developing resources and opportunities that help employees grow professionally, helping to improve the health of their employees and their families, and encouraging them to get involved in their communities in ways that are meaningful. The Department for International Development (DFID) leads the UK’s work to end extreme poverty. DFID is tackling the global challenges of time including poverty and disease, mass migration, insecurity and conflict. DFID's work is building a safer, healthier, more prosperous world for people in developing countries and in the UK too. The Department for International Development (DFID) was set up in 1997. DFID employs around 2,700 staff who work in the offices in London, East Kilbride and globally. DFID works in countries across Africa, Asian and the Middle East, many of which are fragile or at risk from fragile neighbours. DFID also has regional programmes in Africa, Asia and the Caribbean, and development relationships with aid-dependent Overseas Territories. In addition to working directly in countries, DFID also gives UK Aid through multi-country global programmes and core contributions to multilaterals. DFID will also have 3 regional programmes in Africa, Asia and the Caribbean, and development relationships with 3 aid dependent Overseas Territories – St Helena, the Pitcairn Islands and Montserrat. And DFID will continue to work flexibly as and where necessary, including with the international community, to provide humanitarian assistance where it is needed. WHO (World Health Organisation) is the directing and coordinating authority for health within the United Nations system. It is responsible for providing leadership on global health matters, shaping the health research agenda, setting norms and standards, articulating evidence-based policy options, providing technical support to countries and monitoring and assessing health trends. WHO was founded in 1948. 193 countries and two associate members are WHO’s membership. They meet every year at the World Health Assembly in Geneva to set policy for the Organization, approve the Organization’s budget. Over 8000 public health experts including doctors, epidemiologists, scientists, managers, administrators and other professionals from all over the world work for WHO in 147 country offices, six regional offices and at the headquarters in Geneva, Switzerland. WHO operates in an increasingly complex and rapidly changing landscape. The boundaries of public health action have become blurred, extending into other sectors that influence health opportunities and outcomes. WHO responds to these challenges using a six-point agenda. The six points address two health objectives, two strategic needs, and two operational approaches. The overall performance of WHO will be measured by the impact of its work on women's health and health in Africa.